You want to know the mark of a good friend? 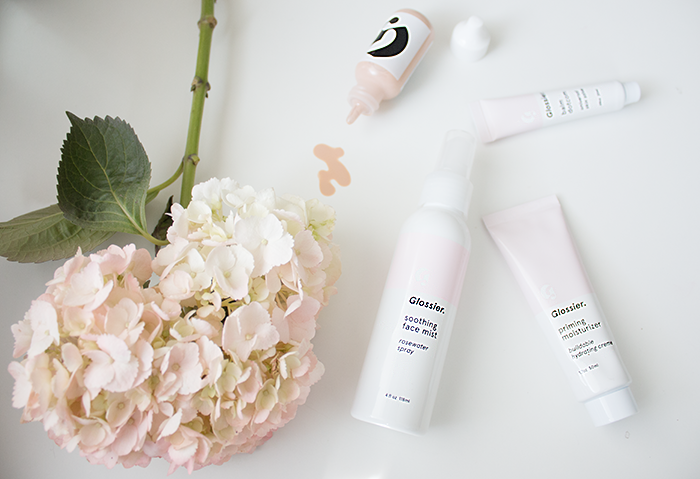 One who anticipates your skincare needs and provides you with a range of products aimed at just that. That's my Sandy. 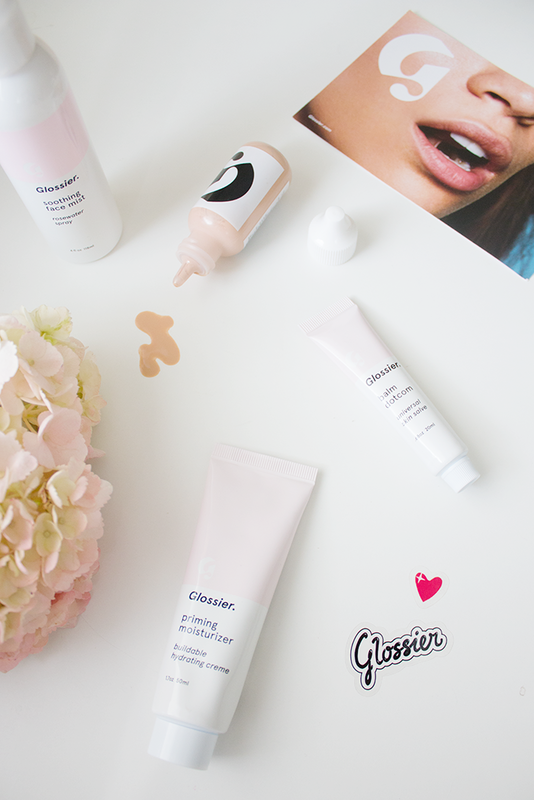 She was good enough to gift me a set of the coveted Glossier range, and because they don't ship to Canada just yet, I was over the moon with excitement to try these out... here's the dirt. The Soothing Face Mist is super light and refreshing, and I'm addicted to its sweet rose scent. I'm not sure how much it actually does for my skin, but it sure feels nice to apply! And sometimes that's all that counts. The Perfecting Skin Tint is a really great tinted moisturizer that applies seamlessly and gives a nice wash of light coverage on no-makeup makeup days. I've recently grown fond of tinted moisturizers, and when my skin is behaving, I find this one is all I need to face the day.